The collapse of a long-sought Navajo-Hopi water settlement this month represents a lost opportunity for the tribes to secure reliable water supplies and for Sen. Jon Kyl to close one last tribal deal before he leaves office in January. Navajo lawmakers voted July 5 to reject the agreement and Kyl’s enabling legislation, which would have authorized funding for water-delivery projects. The Hopi Tribal Council on June 21 narrowly approved the settlement but voted down Kyl’s bill, a necessary component of the deal. The settlement required the approval of both tribes to move forward. Support for the agreement eroded after Kyl introduced the bill in February. Opponents framed the deal as unfair to the tribes, claiming its central component awarded groundwater that already belonged to the reservation communities. They also seized on a provision that offered the Navajos extra water if tribal leaders agreed to extend the land lease for a power plant near Page. The tribes could still try to salvage pieces of the settlement, but time has nearly run out to reintroduce it in Congress, where attention is focused almost exclusively on the election. Once Kyl retires, the tribes will lose their strongest and most knowledgeable advocate and the driving force behind many of the state’s key water deals. Without a settlement, the tribes’ claims to water would be decided in court, an option that would offer no guarantee of water and no promise of federal assistance to build pipelines, leaving thousands of people with a future of hauling water across the sprawling reservations. The Navajos and Hopis represent the largest unsettled tribal water- rights case in Arizona . The failed agreement would have satisfied claims on the Little Colorado River and resolved disputes over groundwater aquifers beneath the two reservations. Claims on the mainstem Colorado remain mired in negotiations over funding and the availability of water. Kyl, a water attorney before being elected to the Senate, has helped broker deals with other tribes, including an agreement with the Gila River Indian Community in 2004, the largest tribal settlement in U.S. history. The Navajo-Hopi deal would have been his last as a senator. “He was always finding a way to break the logjam,” said Dave Roberts, water-rights manager for Salt River Project, whose rights on the Salt and Verde rivers make it a player in many tribal cases, including the Navajo and Hopi deal. 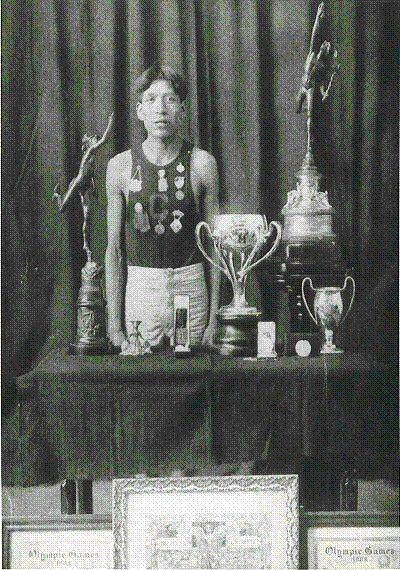 Like most of the tribal agreements, the Navajo and Hopi settlement included a multitude of non-Indian interests. Among them were SRP, Flagstaff , water users on the upper stretches of the Little Colorado and the Central Arizona Project, which oversees some of the water available for tribal claims. Although the Navajo and Hopi claims focused on the Little Colorado River, the CAP brought to the table 6,411 acre-feet of mainstem Colorado water if the Navajo Nation would work to extend land and coal leases for the Navajo Generating Station. 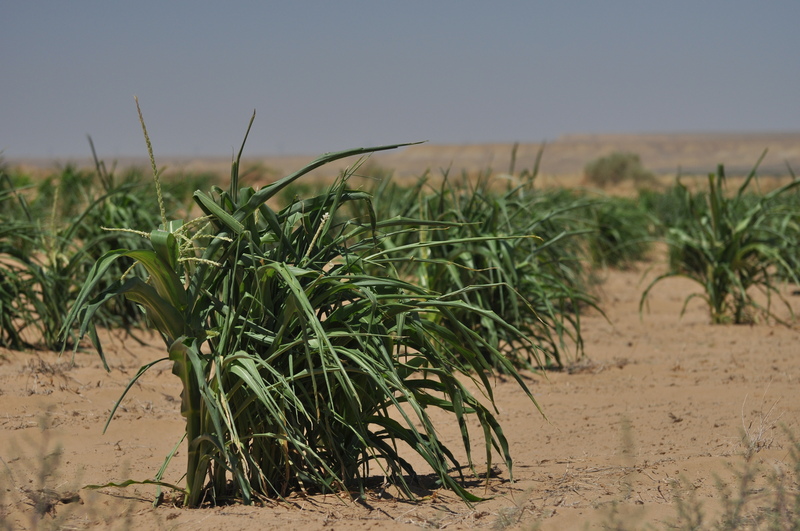 An acre-foot is 325,851 gallons, enough to serve two families for a year in urban settings but enough to serve significantly more people on the Navajo Reservation, where water hauling keeps use low. The power plant, on the Navajo Reservation outside Page, provides almost all the power to move water through the CAP Canal from the Colorado River at Parker to Phoenix and Tucson . The CAP buys the power at reduced rates and would be forced to charge more for water without the plant. Its leases expire in 2019. Kyl said there would have been no agreement without the power-plant leases. But critics of the plant, who targeted the pollution and the coal mining, used the issue to undermine the agreement, filling the audiences at public hearings leading up to the votes. Elsa Johnson, a Navajo activist who led some of the opposition efforts, said the Tribal Council’s vote showed that ordinary people could wield as much influence as the companies that own the power plant and the coal mine near Kayenta. Supporters of a water settlement say they’re not sure what would happen if they tried to propose a deal without the power-plant provisions. The extra water would be off the table, but tribal leaders might be willing to advance a measure based solely on the groundwater projects and Little Colorado River claims. An earlier settlement proposal did not include the power plant. That version addressed claims on the mainstem Colorado and called for construction of a pipeline to deliver water from the river to the reservations. When the pipeline plan was dropped because of its high cost, the Colorado River deal also fell apart. The power plant incentives were then added to bring the extra water to the table and retain support from all the parties. “It seemed like a good majority of the ‘no’ votes on the council were because of the power-plant provision,” said Leo Manheimer, a member of the Navajo Nation Water Rights Commission, which endorsed the Little Colorado settlement. When that window closes, so will many of the advantages of settling claims out of court, Manheimer said. The rejected deal would have secured water from the Little Colorado and protected the river from further development upstream. It would have placed limits on groundwater use by cities and other non-Indian entities near the borders of the two reservations, slowing the depletion of aquifers. Congress also could have authorized money to build delivery pipelines to Hopi villages and Navajo communities where existing wells often fail to meet demand. In some areas on the southern Navajo Reservation, shallow alluvial wells dry up during a drought, Manheimer said. Navajo President Ben Shelly said he was disappointed by the council’s votes to reject the agreement and the legislation. He said he would have preferred to see lawmakers amend the proposal to eliminate provisions they didn’t like, but he accepted the outcome. Although the Hopi Tribal Council rejected Kyl’s legislation, it endorsed the settlement, and tribal officials said they were willing to work on amendments to the bill, mostly to remove the power-plant provisions. “Those provisions have nothing to do with our settlement,” Hopi Chairman LeRoy Shingoitewa said. UPDATE July 15, 2012: On Saturday I noted that the following responses from Benjamin H. Nuvamsa and Rosanda Suetopka Thayer focused on Micah Loma’omvaya’s (Hopi Chief of Staff) role in distributing last week’s Hopi Tribe LCR Settlement Agreement “Fact Sheet“. I now realize that their comments refer to a Press Release that the Hopi Tribe issued on July 12 surrounding Rosanda Suetopka Thayer’s efforts to remove Chairman Leroy Shingoitewa from office. Click here for a copy of the Press Release. I apologize for the confusion. There seems to be certain amount of credence placed recently by the local news media on comments, quotes, etc. from staff (political appointees) other than directly from the Hopi tribal chairman Leroy Shingoitewa, particularly concerning the current water rights debate. Be advised that we do not place any credence or credibility on comments made by Shingoitewa’s staff, like comments by Micah Lomaomvaya. Micah is not tribal chairman, vice chairman; and therefore has no authority to speak on behalf of the Hopi Tribe. He has no authority to be issuing press releases, or making comments on any matter in the papers. Those authorities are vested in the tribal chairman. Those authorities and protocols are similar to the Office of the President of the United States. We do not see any press releases, nor comments coming out of Vice Chairman Honanie’s office, because he understands and respects the proper delegations of authority. He understands the protocols and when it is an appropriate time to issue statements on behalf of his office, or on behalf of the tribe. Thank you. 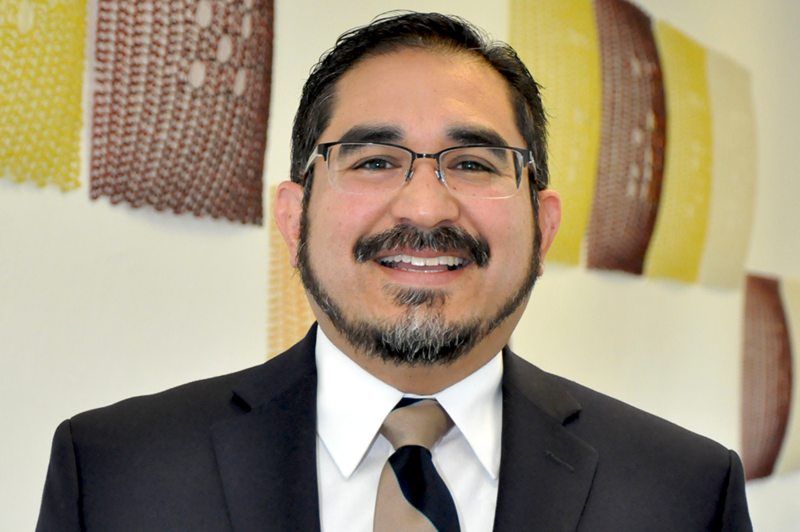 “Its truly unfortunate and completely unprofessional that Micah Loma’omvaya, chief of staff for Mr. Shingoitewa, without formal Hopi Council authorization to release such a ill-informed press statement regarding the Hopi and Tewa grassroots movement to remove Shingoitewa for serious neglect of duty. Only the Hopi Tribal Council through formal action or the Hopi chairman with council authorization can speak on behalf of the tribe, not a politically appointed staff member like Loma’omvaya. For me personally, Loma’omvaya’s release shows the level of paranoia, intimidation and lack of signature accountability, that Shingoitewa has created and fosters at the Hopi Tribe against anyone who opposes him, including all members of the media, tribal or non-tribal. 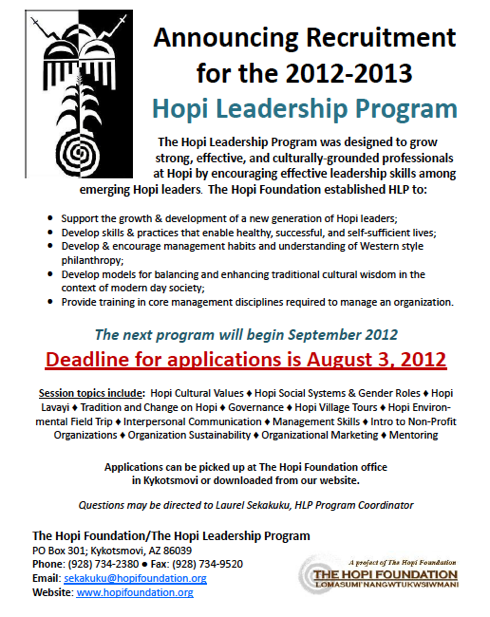 This has been evidenced by Shingoitewa’s refusal to allow reporters into local publicly posted Hopi council meetings over his past two years in office including the Hopi Tribes’ own newspaper, the Hopi Tutuveni, which is the only local and free news medium available to Hopi community members for public information. No community member, enrolled or un-enrolled is safe from Shingoitewa and his supporters, especially after such a heated public battle where clearly the Hopi and Tewa people did not support Shingoitewa’s LCR settlement proposal and in which Shingoitewa continues to try and re-visit an already dead tribal water issue. 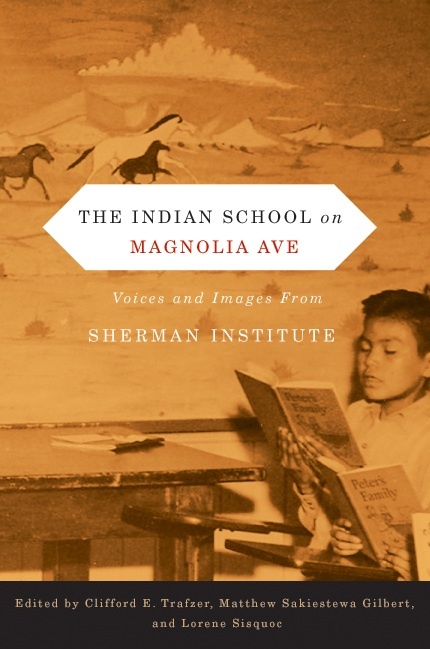 The Indian School on Magnolia Avenue: Voices and Images from Sherman Institute, is now available for pre-order. You can pre-order the book from several venues, including Oregon State University Press ($24.95) and Amazon ($22.52). 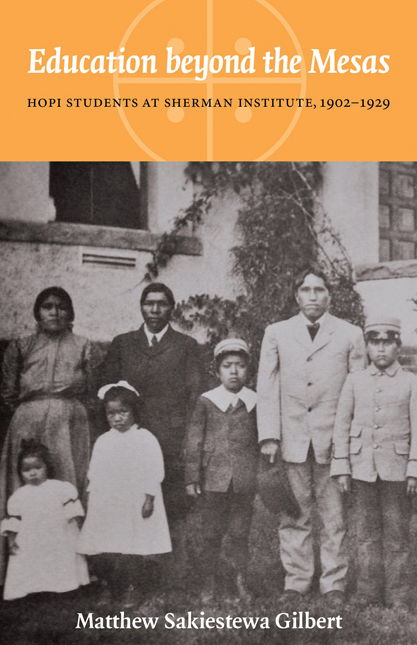 Royalties from the book will go to support educational programs at the Sherman Indian Museum in Riverside, California. The Indian School on Magnolia Avenue is scheduled to appear this December. Thanks to Micah Loma’omvaya, Chief of Staff for the Hopi Tribe, for sending me the following documents to post on BEYOND THE MESAS. Click images to download. Angela Gonzales (Hopi), Associate Professor of Development Sociology and American Indian Studies at Cornell University, has started a new blog to chronicle her goal of raising $10,000 for the Hopi Cancer Assistance Fund (HCAF). To promote interest in her quest, Angela will bike 1,539 miles from Bellingham, WA, to Ventura, CA, beginning September 25, 2012. Learn more about Angela’s motivation to raise support for the HCAF by visiting her blog, Angela Bikes 4 Hopi. Also, please consider giving financially to this worthy cause.